As promised, I’m completing the story that began with my March 13, 2014, blog post (“Who are Loyolans?”). 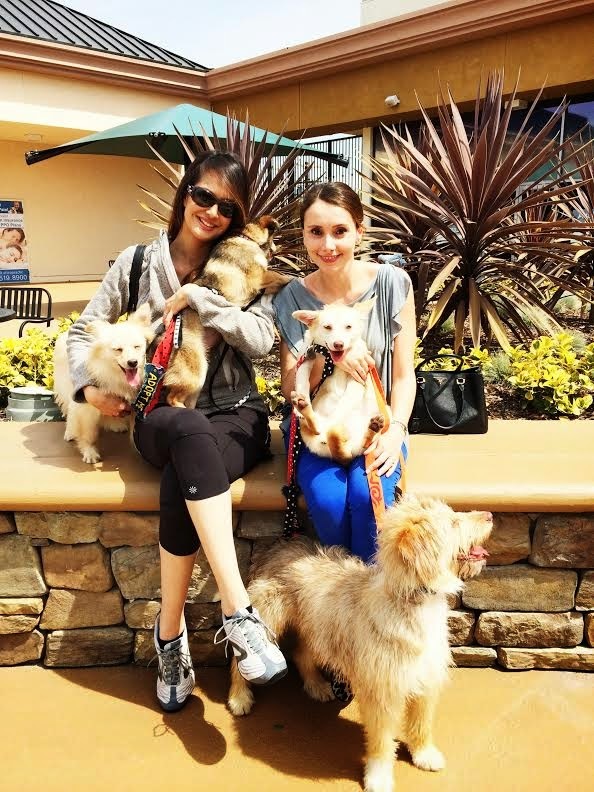 On March 11, 2014, I greeted four dogs—all born on the streets of Romania—at LAX, along with Marilyn Vittone and Masumi Hara of Doggies911 Rescue (D911) and Nancy Janes of Romania Animal Rescue, Inc. (RAR). The story, from my perspective, began after I rescued two homeless Romanian puppies (see last post). Once I moved back to Los Angeles and bought my own condo, I wanted to continue helping homeless dogs. That’s when I met Marilyn, the co-founder and vice president of D911. Over the next year, I fostered several dogs for her group, but I stopped after I adopted my second dog, Teddy, since my building had a 2-dog limit. Still, Marilyn and I had become friends, so we continued to keep in touch. Every now and then, when I stumbled upon a dog in need of a new home, Marilyn offered to help out. Because I also wanted to stay updated on the plight of street dogs in Romania, I followed Nancy Janes and a couple of Romanian dog rescuers on Facebook. I learned that on September 25, 2013, the Romanian government legalized the mass culling of street dogs, something that was deemed unconstitutional back in January 2012. The cull was legalized following a nationwide maelstrom, which resulted from reports alleging that a four-year-old boy was killed by street dogs (there’s still controversy regarding the truth behind these allegations). The media immediately painted street dogs as vicious killers. In reality, though, these dogs are far from “wild killers”—most would actually make smart, loving pets if given the chance. Regardless, the street dogs’ image in Romania was irreparably damaged following the terrible tragedy, and around the country, the hunt for dogs ensued. Romanian animal lovers scrambled to save as many homeless dogs as they could; disturbing photos taken by rescuers popped up regularly on my Facebook feed. 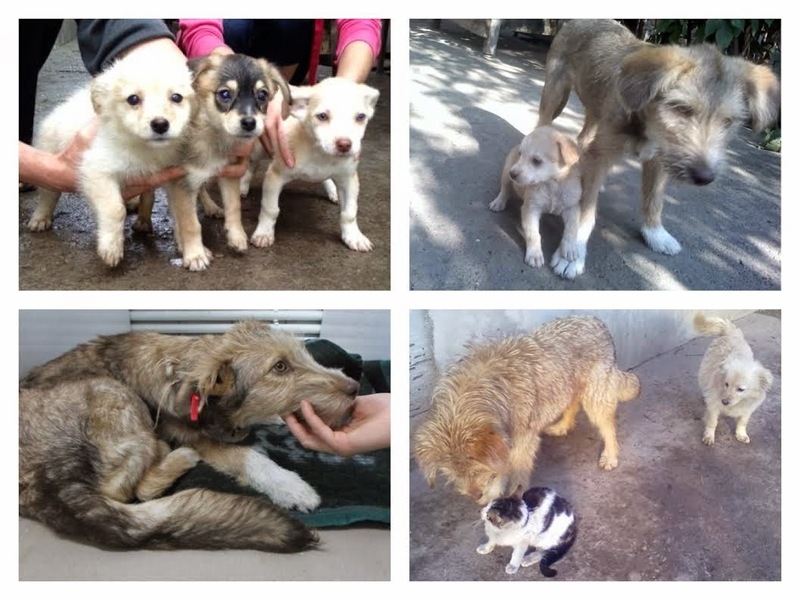 On February 13, 2014, Mihaela Raducanu, a rescuer/vet student in Romania who works closely with RAR, shared some images of dogs in desperate need. One of the dogs, Sasha, was rescued as a pup and lived with a kind-hearted foster, Otilia, in the city of Tecuci, Romania. Sasha was born on the streets; before her rescue, she had survived as a stray with her littermate, who unfortunately did not make it. Otilia later took on the care of 3 additional homeless female pups, all littermates. She had discovered them because of their cries—they had been discarded in a plastic bag by the road. One of the pups had broken free, but the other two were close to suffocation. They were so young, their eyes had barely begun to open. Otilia had found them in the nick of time. At Otilia’s home, the orphaned Sasha took the 3 littermates under her wing; even though she was only about 3 months older than the smaller puppies, Sasha assumed a very motherly role with them. Because Otilia had several other homeless dogs and cats in her care, she frequently needed help. When resources were really low, Otilia made the heart-wrenching decision to relinquish some of the dogs in her care to the local public animal shelter. She went back to the shelter to visit her dogs, only to find them starving and aggressively combating each other for food. Heartbroken, Otilia took the dogs back and began the slow process of rehabilitating them. Because Otilia desperately needed help, Mihaela stepped in to raise money for food and posted the animals’ photos online for adoption. That’s how I learned about Sasha and the 3 littermates—their photos were online for weeks with no fruitful responses from potential adopters. At first, I thought we might only be able to take on 2 small dogs for transport to L.A., but when Marilyn heard the story and realized that nobody had offered to adopt these 4 pups, she insisted on rescuing all 3 littermates and their gentle guardian, Sasha. The four had been fortunate enough to live continuously under Otilia’s care, since the time they were plucked from the streets, so they had become well-socialized not only with dogs but with cats as well. RAR had spayed and vaccinated them, so they were great candidates for travel. Once the decision to take the dogs was finalized, we had to raise the funds needed to cover the dogs’ transport and vetting. We spent a few weeks networking and trying to garner online donations for the project. By the end of February, it seemed our fundraiser had hit a standstill, but on March 1, fate shifted. A generous donation rolled in from a prominent dog rescuer in Los Angeles. We immediately went to work booking flights through a pet travel agency and figuring out transport from the town of Tecuci to the international airport in Bucharest. 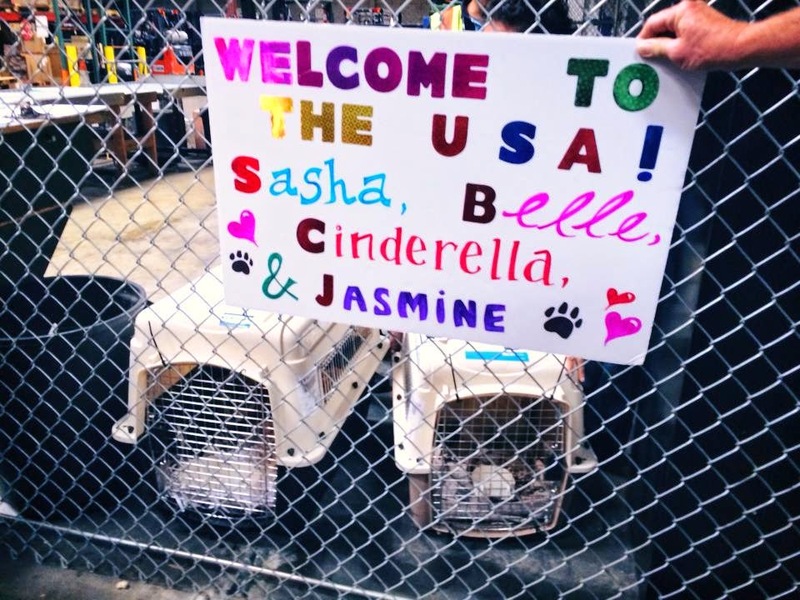 The rescuers in Romania contacted Otilia with the news—she was thrilled to hear that Sasha and the 3 sisters would live out their lives Angeleno-style! 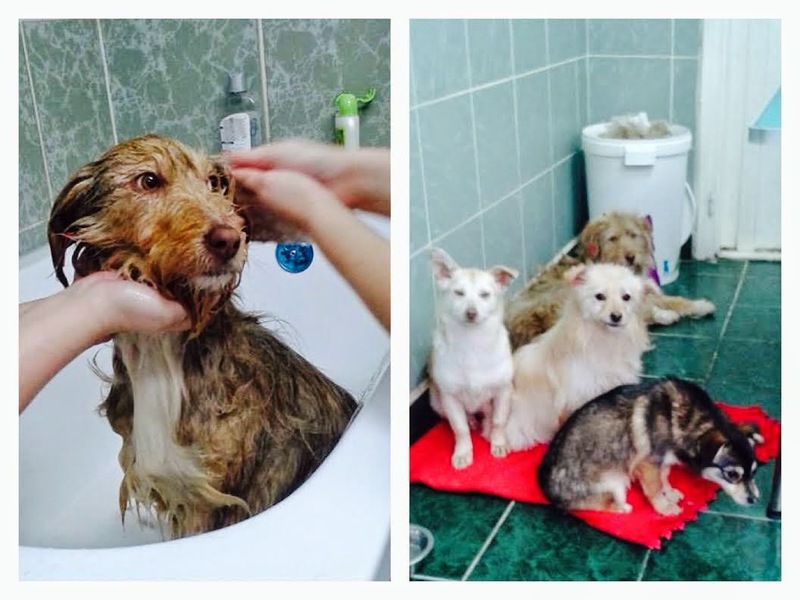 Otilia’s farewell was bittersweet, and the dogs got a little carsick on the way to Bucharest, but once in the capital city, they received the first baths of their lives from happy volunteers. Dr. Corbu, a vet in Romania who works closely with Nancy Janes, prepped the pups for departure. The overseas trip was long, but fortunately the pups had a potty break layover at the airport Pet Hotel in Amsterdam. On my end, the night before their arrival, I rushed home after my evening class to make welcome banners. Marilyn gave me the honor of naming the 3 sisters, so I decided to go with Disney princess names—Cinderella, Belle, and Jasmine. They were all living the fairy tale princess dream, so I found the names fitting. At LAX, we—a party of Doggies911 Rescue volunteers, Nancy Janes and her husband, Rory (both of whom flew down from San Francisco just for the occasion)—enthusiastically greeted the four pups, complete with banners and dog treats. After a day-long process of clearing customs, we rushed them to the vet, so that they could get the necessary health clearances. Since their arrival almost a month ago, I’ve had the pleasure of visiting the four girls on a handful of occasions and they are the liveliest, happiest, most adorable bunch of dogs. You would never guess they had such rough beginnings. It comes as no surprise that they’ve already received multiple adoption proposals. Belle, the smallest, and Sasha have already gone to their new forever homes. The others have applications on file as well, but Marilyn is doing her due diligence and taking time to review each application carefully to ensure that these girls go to suitable, loving homes. We’ve all fallen in love with these goofy pups—it’ll be sad to see them go, but we’ll be comforted in knowing that they’ll be safe and spoiled. When all’s said and done, much of the response to our rescue story has been positive, yet some wonder why we would expend the money and energy to bring Romanian dogs to Los Angeles when there are plenty of dogs dying in shelters around L.A. Others raise an eyebrow and wonder why we care so much about street dogs in Romania when humans are suffering around the world. Public shelters over here have protocol to follow—the animals must be fed, their kennels must be cleaned routinely, they must be provided with shelter from the elements, the adoptable animals must be available for the public to view, and in the end, the unadopted animals are put down quickly and as humanely as possible. Don’t get me wrong—I don’t want to downplay the plight of dogs in shelters around Los Angeles and the country in general—it’s a serious issue in need of improvement and I wish with all my heart that everyone would consider adoption first. But with that said, public shelters in Romania provide little, if any, of the aforementioned resources and services—dogs starve, live in squalor, and the list goes on. This is why we brought the 4 pups to Los Angeles. We saw the need; we realized what the consequences might be if we didn’t step in. And, we wanted to help not only the dogs, but also their foster, a commendable animal-lover, Otilia. 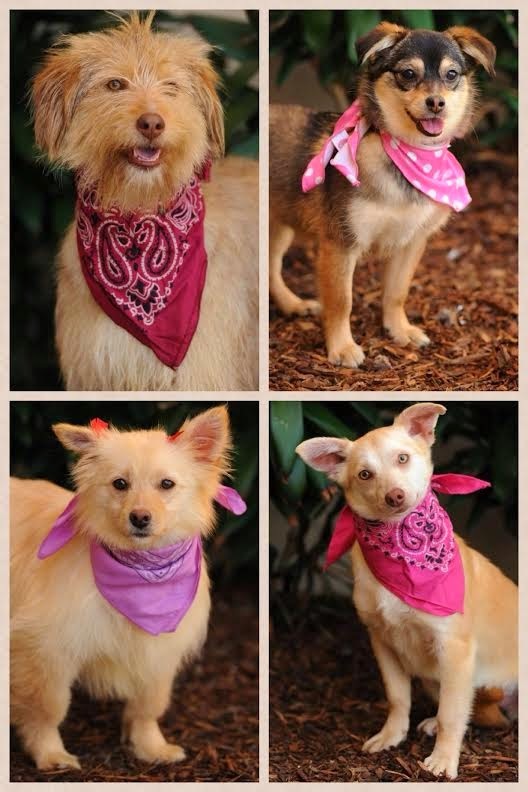 Sasha, Belle, Jasmine, and Cinderella are now ambassadors of Romanian street dogs here in L.A., and I hope their stories will be told by their families for years to come. The bottom line is: dogs don’t belong on the streets, but the long-term solution lies not within a massive, inhumane cull—as the population will eventually regenerate through continued pet abandonment and rampant breeding—but within education and spay/neuter programs. RAR, led by Nancy Janes, is spearheading this movement in hopes of combating the root of the Romanian street dog problem, with good Samaritans like Mihaela and Dr. Corbu championing the cause on the homefront. Marilyn and the rest of the D911 team continue to work tirelessly placing homeless dogs, including those with dire medical needs, with loving families all over Los Angeles. I’ve never been so proud to be part of a compassionate team—without the combined efforts of many, this unique rescue would not have been possible. And with respect to why we help animals while humans continue to suffer, all I can say is: the suffering of humans around the world torments the conscience of animal rescuers as well. But we follow our passions and our areas of expertise. I believe that animals are our legacies; they are helpless in our wake. It’s our responsibility to address their suffering as humanely as possible. In the end, those who stand for good causes should commend each other’s efforts rather than judge each other’s missions. Every act of kindness—on every level, teaches compassion, and at risk of sounding totally sappy—makes the world a better place.